The definition of local food is highly subjective. 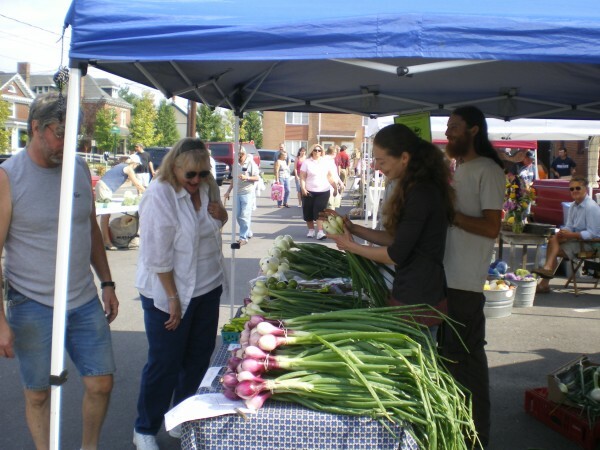 A farmers market manager might define local food as how far the farmers are willing to travel to sell their wares. A restaurant might define it based on relationships they’ve formed with local or even regional food producers. Customer perception fits into it. Seafood really isn’t considered “local” by someone in Centre or Clearfield Counties because we’re not considered to be in a seafood area, but in southcentral and southeastern Pennsylvania, it is. If you live in Lancaster, York, Philadelphia, etc. seafood is part of the local culture. So Chesapeake Bay crabs and oysters would fit into a local food menu. On occasion, a definition is attempted by an official organization. The Greater Philadelphia Food System Study defined local as a 100-mile radius of Philadelphia. The New Oxford American Dictionary defines a locavore as someone who tries to eat only food grown or produced within a 100-mile radius. The 2008 Farm Act goes further afield, considering 400 miles as the radius of local food. That would mean a hamburger made with beef raised in North Carolina is local, not something many would agree with in State College. Here in our area, the Pennsylvania Association for Sustainable Agriculture (PASA) did research into the question of local via the Real Deal Project. The result of this is the 1LOCAL Index, a way to bring accountability into the definite of local food. What makes this approach work so well is instead of a rigid, geographical definition, PASA sets up a framework that lets the customers decide whether a producer or store meets their expectations for local food.